elobeatlesforever: Recommended: Jennifer Armstrong's ELO Gallery & More! Hello ... Hello ... my old friends ... It's great to see you once again! From time to time, Facebook unveils a pleasant surprise in the ELO Beatles Forever [ELOBF] universe. Jennifer Armstrong is an independent artist from Glasgow in Scotland who came to my attention when I caught a glimpse of her marvellous portrait of Roy Wood in torn paper and crayon recently. The Move/ELO trio plus a Traveling Wilburys duo too! Since contacting Jennifer, she has produced more of her stunning interpretations with Jeff Lynne and Bev Bevan now completing a Move and ELO montage reunion. 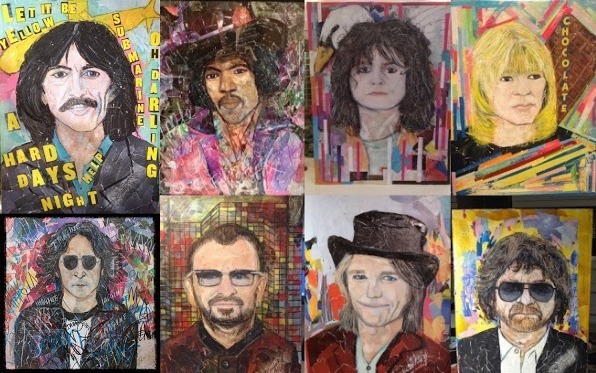 Other well known artistes featured in her impressive gallery include Roy Orbison, Tom Petty, John Lennon, Marc Bolan, George Harrison, Jimi Hendrix and Brian Connolly amongst not a few others. More ELO Beatles Forever [ELOBF] music heroes given the Jennifer Armstrong treatment! ELO Beatles Forever [ELOBF] is pleased to announce that Jennifer is making her original portraits as well as prints of her ELO founding trio portraits [as well as her wider portfolio] available to purchase. For example: an A3 size print is priced at £20 [plus post and packing] or a 12" x 16" original shipped to the UK [including postage] is priced at £70 and comes with a Certificate of Authentication. The prints can also be supplied professionally framed. Postage, packing and framing charges are available upon application. Jennifer Armstrong can be contacted by email at: jenniferarmstrong1965@hotmail.co.uk, via private message on Facebook or via her fantastic Facebook pages Fan Art of the Greatest Musicians in the World and Torn Paper and Crayon Creations for enquiries, to place orders and/or to make payment. 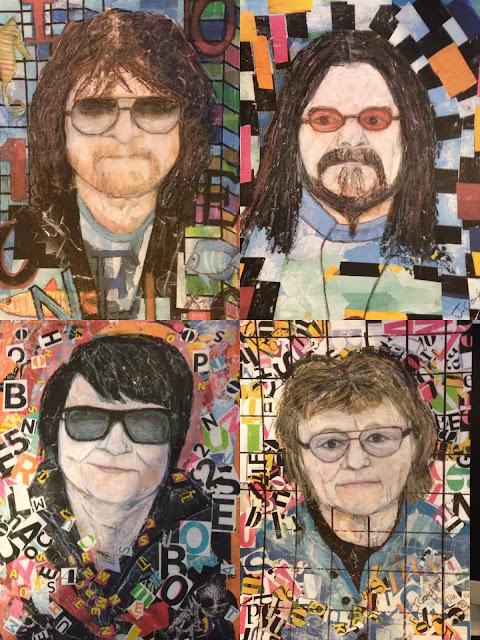 ELO Beatles Forever [ELOBF] recommends the portfolio of Jennifer Armstrong to those enlightened folks who enjoy the music of ELO, Jeff Lynne, Roy Wood, The Move, The Idle Race, 'Brum Beat', The Beatles and related artistes. Lovely psychedelic pix,Keith and brilliant artists, all of them! One of the most Amazing Artist I have ever had the pleasure to call a new friend.